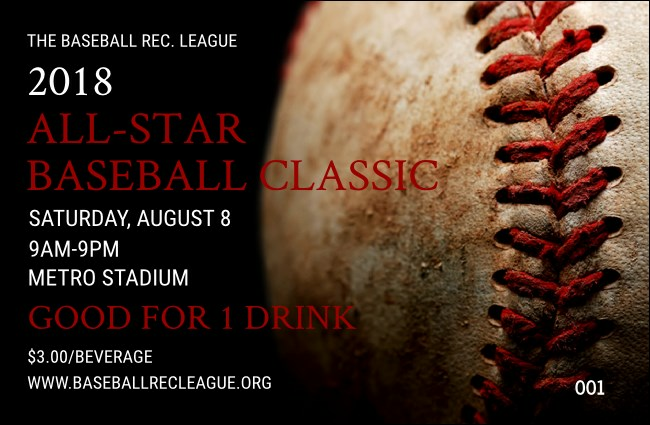 Nothing goes better with the crack of the bat and the cheering crowd than an ice cold drink! Keep the ball in play when you sell Baseball Stitches Drink Tickets at your event. These ticket templates feature the unmistakable bright red stitching of a baseball on a black background, and include numbering for extra security. TicketPrinting.com helps you play to win!